Over the past six months I have been searching tirelessly and fruitlessly for a new rug in my bedroom. Too big, too traditional and too expensive are all the options I have found, but nothing that seems to be the perfect fit. Besides its functional use to trap debris and provide cushion and warmth, rugs are an essential visual element in bringing the room's look together. Don't get me wrong, I am crazy for wood flooring, but adding a rug softens the look and provide a resting spot for the eye among the assorted textures and colors of the room. While on the topic of my never-ending search, I thought it would only make sense to discuss important parameters to keep in mind when selecting a rug to fit your space. 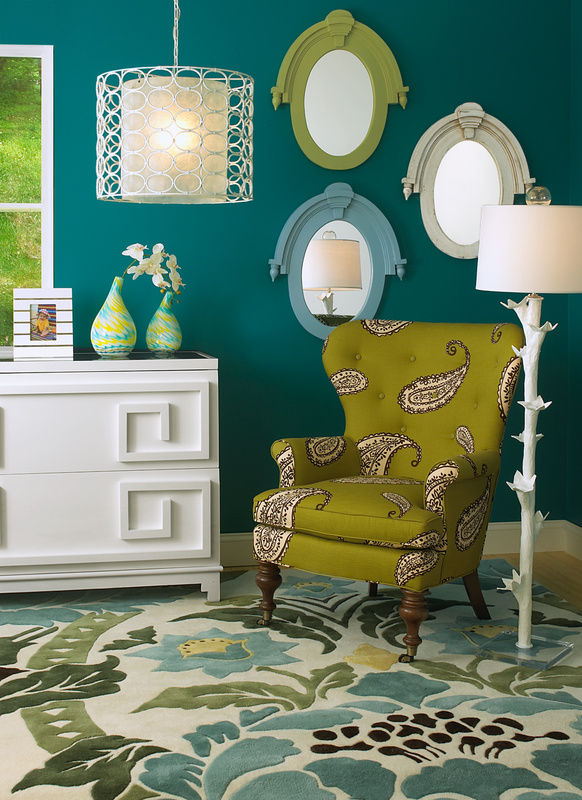 Consider the hue in selecting your rug. Is it in a high-traffic area or do you have kids or pets? If so, you might want to think twice about lighter shades in the rug you choose. Also, make sure the colors in the rug accent the look you already have. Introducing new colors in your rug have the potential create a discord in the look you are already achieving. 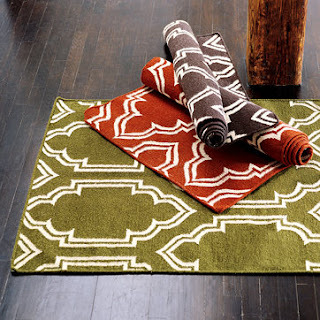 Often overlooked, but always essential: consider what your rug is made of. Fibers such as chenille are more fragile and may require more maintenance than others. On the other hand, wool is generally of higher quality and will last longer than a polyester rugs. Each type of rug is appropriate for different spaces. Polyester may be the most affordable option, but it also is essential for high-traffic areas. Most rugs out there are a blend of polyester and wool. Be thoughtful of the size of rug you are purchasing. A 2'x3' rug is meant for a doorway or in front of the sink and, conversely, a 4'x6' rug is usually not meant for under a dining room table. 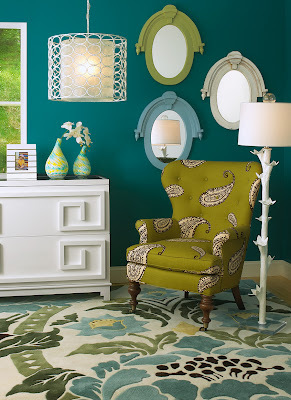 The rule of thumb I use when selecting a rug is to choose one that covers at least 50-75% of the area you are covering. Usually, you want the rug to 'touch' nearly all the furniture in the seating area. Regardless, take risks and have fun with how you select or place your rug. The more unpredictable, the better!